Now 73, I am a late-comer to the thrills and chills of literary submissions. In November 2013, I sent out my first manuscript, by Amish wagon, printed and mailed with a self-addressed stamped envelope (SASE to historians). The journal is one of the few left that doesn’t use the internet for submissions. I’m glad I did it, for old school’s sake. That’s how it was done when I first thought I might be a writer. But now it is a waste of postage and part of a pulp tree. A terse e-note of rejection, apologetic and uncritical, is enough. I don’t need to pay to have the work thrown back in my face (which it was). It surprised me that payment for accepted submissions from the great majority of journals is either barter or ego-petting, not cash. (I’m sure it’s just a coincidence that “barter” comes from a French word meaning “to cheat.”) Instead of cash, I am offered one-to-few copies of the issue in which my love child appears, and/or a subscription. Online journals and blogs like this one think I’ll be satisfied with a note of acceptance. Pathetically, they’re right. I may not even have heard of the publication before, but now it is a god in my literary pantheon for recognizing and validating my work. Many journals, maybe even a majority, require the purchase of an issue or an annual subscription to get a sense of what they are looking for. That’s nonsense. We’re talking – what? – maybe hundreds of publications. Who can afford that? And there goes a whole forest of pulp trees (or at least multitudes of megabytes on the harddrive). A journal should offer free online at least three examples in each genre it publishes, giving a sense of the range of its interests. It will reduce wasted time – for editor and writer – by improving the ratio of appropriate to inappropriate submissions. It might even boost subscriptions. I was astounded that many journals charge reading fees, typically $30. It is as if creative writing not only has lost its value, but has become a nuisance, something we have to pay to have hauled off. Some journals have submission contests that require a raffle-like entry fee for the prospect of winning enough money – likely from the other submitters – to buy two months of beer. The field at least is narrowed by exclusion of starving artists, and principled tightwads like me. For a while I believed the writing went better without readers and editors. I imagined Salinger in his Appalachian retreat writing for no one but himself. Sometimes I thought my writing so good that a Pulitzer nomination was inevitable. Then after I had set it aside for a while, I wondered how I could have been so vain and foolish over such an imperfect thing. I realized I needed feedback. So I began sending essays to indentured readers – friends and relatives. But ultimately I thought they might hold back criticism for fear of hurting my feelings. It is a reasonable fear. I now accept that editors can be useful. They are professional readers who combine a fresh perspective with a warrior’s willingness to draw blood. I now know that validation comes from the reader. My observations are meaningful only if they are meaningful to you. 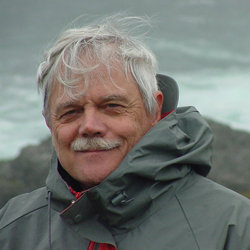 Richard LeBlond is a retired botanist living in North Carolina. He has been writing about life experiences, travels to Europe and North Africa in the early 1970s, and more recent adventures in eastern Canada and western U.S. First attempting to publish in winter-spring 2014, he has had essays published or accepted by Montreal Review, Appalachia, and Weber—The Contemporary West.